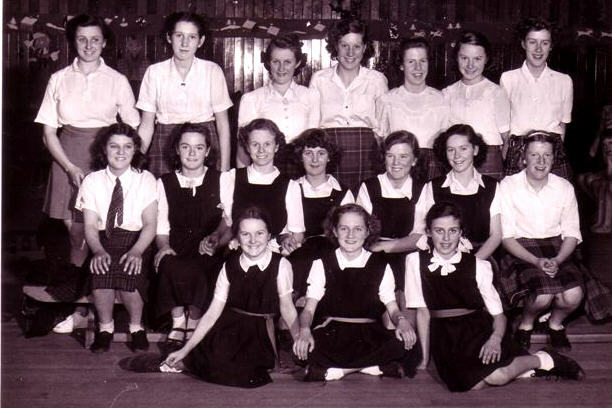 Looking for names for these girls from Miss Coleman's Gym class at Stevenston Higher Grade 1950. Can you help? Source Grace Lennox (nee Park) California. hewmac wrote: Looking for names for these girls from Miss Coleman's Gym class at Stevenston Higher Grade 1950. Can you help?